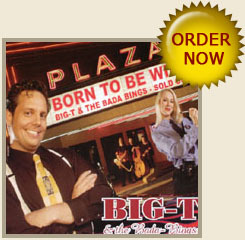 Austin bands come and go, but Big-T is here to stay, bringing the sound of Vegas straight to your event. 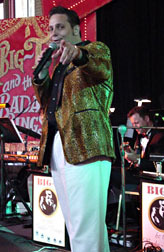 Whether you’re looking for Austin Jazz Bands or Austin Party Bands for your wedding, charity event, corporate party, trade show, or concert, Big-T will transform your function into a night at the Sands! Big-T’s versatile musical stylings are unmatched by other Austin bands. He combines the coolness of Frank Sinatra with the southern charm of Stevie Ray Vaughn and the old school blues of B.B. King. The incomparable singer is backed by a group of world-class musicians, who are equally at home playing Blues, Swing, Classic Rock, and of course, traditional Big Band music from great composers, like Benny Goodman and Duke Ellington. Based in Texas, this 10- or 17-piece Big Band regularly travels from Dallas to Austin, Houston, San Antonio, and Oklahoma. Sure, Austin is known for great local music, but sometimes, you’ve got to bring in something really HUGE! When looking for Austin party bands or Austin wedding bands, think beyond the usual fare, and choose Big-T and the Bada-Bings.